Former Chairman of the Nigeria Football Federation Technical Committee, Chief Taiwo Ogunjobi has urged Nigerians to put Friday’s result behind and remain behind the team for success. 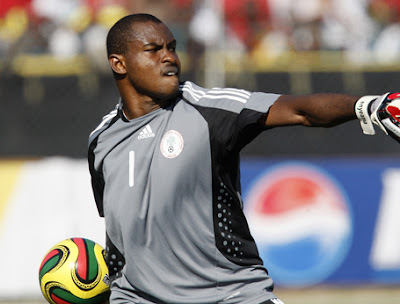 Ogunjobi who is now current Chairman of Osun State Football Association, also added that Nigerians should not to crucify Super Eagles goalkeeper Vincent Enyeama following the goalkeeping error he was alleged to have committed which cost Nigeria victory in Saturday’s Nations Cup qualifier in Liberia. “I did not watch the match but according media reports, Enyeama was said to have committed a blunder which helped the Lone Star to tie scores at 2-2. “Though it was painful I don’t think Nigerians should begin to crucify him because I believe it was a mistake which can happen to any player. “The most important thing is that we did not lose so let’s hope and pray that the team prepares well and win the return leg match in Nigeria which will qualify us for the 2013 Nations Cup,” Ogunjobi stated. “We have to keep supporting the team. It’s our national team. We have to remain proud and supportive of them. “The first leg of the match has been played and we still have the return leg to come. We can still qualify, I’m confident of that,” Ogunjobi declared.